Take detailed audio notes, edit and enhance photos, and go on an outer space journey with today’s collection of apps. Picture Perfect – All in One ($0.99 → Free, 42.0 MB): Edit and enhance your photos with Picture Perfect. iPhoneographers looking for an all-in-one solution. Picture Perfect’s name says it all. It’ll help you take your photos from average to outstanding in mere moments. You’ll find all kinds of cropping tools, filters, stickers, tonal adjustments, blur and sharpening effects, color splash options, fonts, and even emoticons to utilize. Just go through the toolbar items one-by-one. Picture Perfect – All in One is available for free for a limited time. It has a 4.5-star rating with a total of 569 ratings. 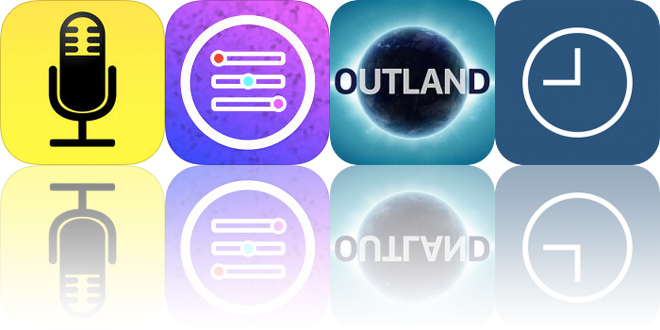 Outland – Space Journey ($0.99 → Free, 202.0 MB): Go on an outer space journey with Outland. The science nerd in you. Outland is a collection of 20 time-lapse videos that will take you on a space journey. The collection includes everything from the winds of Jupiter to the ISS flying over Earth to the liftoff of ExoMars 2016. Each time-lapse video includes serene background music, a short description, and a date and time overlay. It’s best if you can hook your device up to your TV to truly enjoy the experience. Outland – Space Journey is available for free for a limited time. It has a 4-star rating with a total of 53 ratings. Time Manager – Daily Time Tracker ($1.99 → Free, 17.4 MB): Keep track of how much time is spent on daily activities with Time Manager. Students and anyone else interested in how their time is managed. Time Manager – Daily Time Tracker is available for free for a limited time. It has a 5-star rating with a total of 14 ratings. Audio Notebook: Sound Recorder, Notepad, Organizer ($4.99 → Free, 11.5 MB): This note taking app will help you stay on top of all of your classes and meetings with only your iPad. Students and business professionals who have trouble keeping up with discussions while taking notes. 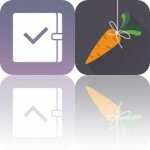 Audio Notebook: Sound Recorder, Notepad, Organizer is available for free for a limited time. It has a 4-star rating with a total of 97 ratings.